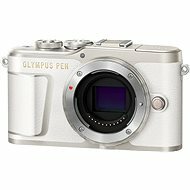 This jewel of the PEN camera product line is a flexible device designed to provide high-quality photography features in a luxury package, which combines sheer elegance with remarkable practicality. The E-PL7 is made of premium-quality metal stylishly wrapped in leather to highlight its sophistication. The clean lines give it a timeless look, while its discrete grip enables firm grasp with one hand. The camera not only looks great, but is also comfortable to hold and a pleasure to use. And that’s not all. Thanks to its comprehensive range of technology solutions, you can be sure that your images will always be crisp and beautiful. Do you love taking selfie pictures with your friends? If so, then the E-PL7’s tilting touchscreen is exactly what you need, because it allows you to see the picture composition without your hands getting in the way. Better yet, the camera doesn’t mind even more chaotic handling and its in-built optical stabilisation always has your back. Do you want to put your camera down sometimes and take pictures from afar? Just install the right app and you can operate the camera remotely within the signal range. Create images with ease and upload them directly via WiFi and Share. Share your experiences and let the pictures tell your story. In addition, the camera gives you a wide range of options how to express and showcase your creativity. There are 14 artistic filters and 9 artistic effects for you to explore, so give your images something of your personality. The Vintage Colour filter gives the photos a historical touch, while the Partial Colour filter helps to highlight the best details in the image. 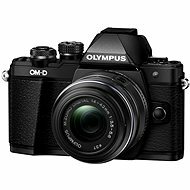 If you are looking for uncompromising quality in every situation, then you may want to check out the wide range of lenses and underwater accessories the camera supports. And to ensure that nothing ever disturbs the photo quality even after changing the lens, it has a built-in ultrasonic filter. Strap, USB cable, Manual Done! 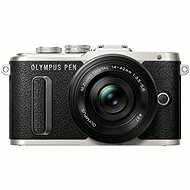 For shipping to other EU countries visit this page Olympus PEN E-PL7 White + 14-42mm Pancake Zoom Lens. Für Versand nach Deutschland, besuchen Sie bitte Olympus PEN E-PL7 weiss + Pancake Zoom Objektiv 14-42mm. Chcete doručit zboží do Česka? Prohlédněte si Olympus PEN E-PL7 bílý + objektiv 14-42mm Pancake Zoom. Chcete doručiť tovar na Slovensko? Prezrite si Olympus PEN E-PL7 biely + objektív 14 - 42 mm Pancake Zoom. Für Versand nach Österreich, besuchen Sie bitte Olympus PEN E-PL7 weiss + Pancake Zoom Objektiv 14-42mm. Magyarországra történő kiszállításért tekintse meg ezt a termékoldalt: Olympus PEN E-PL7 fehér + objektív 14-42mm Pancake Zoom.